A friend once said that launching a book is like standing in front of an audience in your underwear. How’s that for an opener to this post? At the time I didn’t get it, nor did it matter to me because I vehemently decided that I would not ever write a book. Well, here I am, standing in front of you…oh my. Some say this Just Open the Door is a book on imperfect hospitality. I beg to differ. We’ll talk about so much more than “hospitality.” Each chapter focuses on a different theme and we cover it all: comparison, a house that’s not guest ready, busy-ness, friendship, loneliness, nervousness, time around the table, mothering, adoptions, money: the elephant in the room, traveling hospitality and so much more. Of course, there’s a bit of beauty and my own personal bedlam mixed in for good measure along with practical home and food tips, along with ways to “Elevate the Ordinary” using what we have on hand. 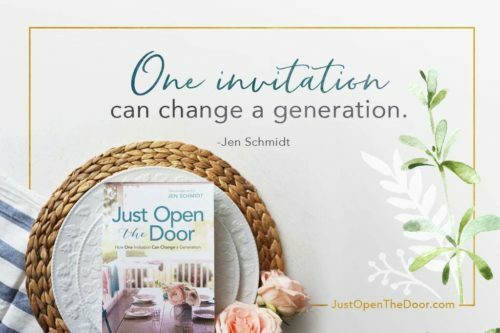 Because somewhere along the way we’ve allowed the idea of social entertaining to hijack the true heart of hospitality and Just Open the Door is your personal yes-you-can guide to offering the life-changing gift of invitation. 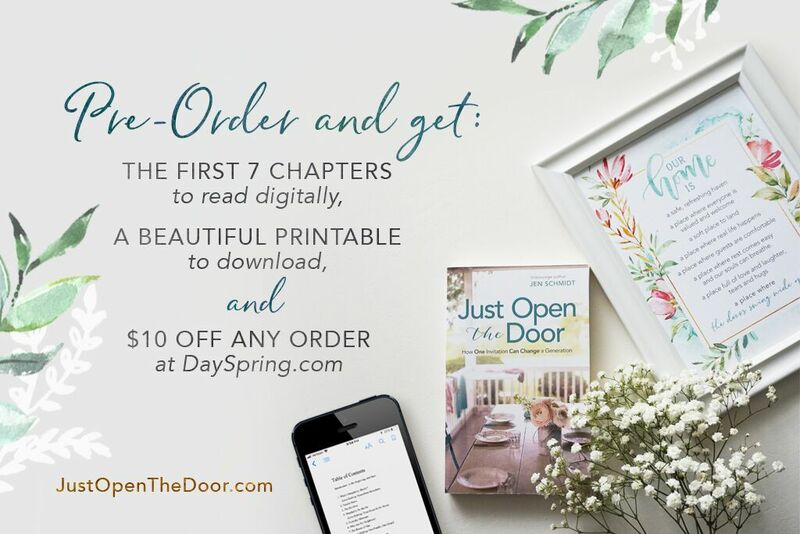 So if you’d like an extra dose of encouragement, then my frugal heart desires to share some fun goodies if you pre-order now. When you pre-order the book online (from any of your favorite spots), then get the first seven chapters digitally (so you don’t have to wait for your book,) a beautiful download of my Hospitality Manifesto, as well as free $10 to spend at Dayspring.com. Look at all those fun things for the price of two coffees. Thank you for your support. Since I chose to step back from my blog over the last few years and dive into real life and this book, I need a little help spreading the word and I’d be forever grateful if you’d share this with others. 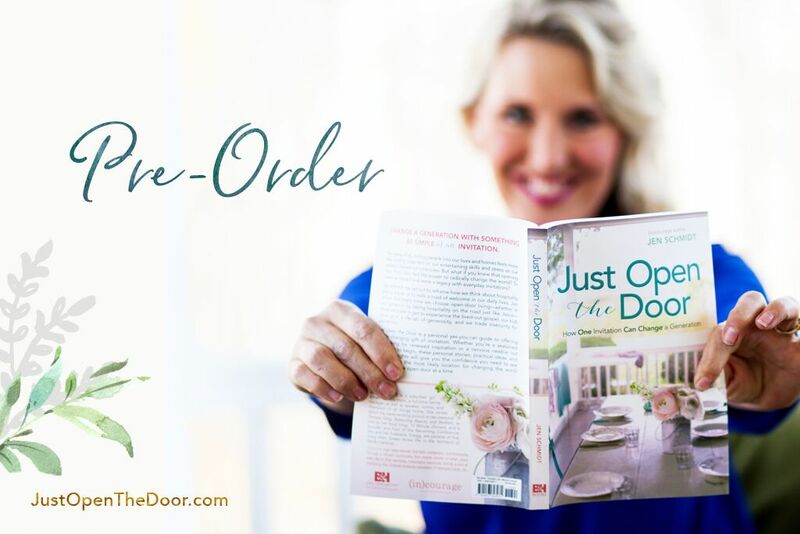 Once you order your book, head to JustOpentheDoor.com to redeem your goodies. YAY!! Thank you. Thank you. Can’t wait to journey this with you.